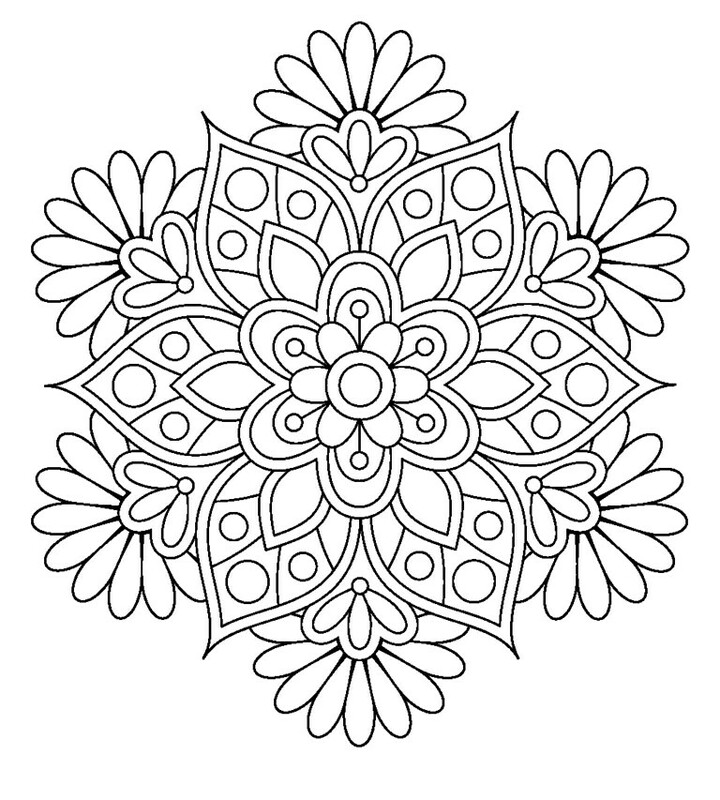 These mandalas inspired me over the weekend. Enjoy. GUESS WHAT! For the first time ever I had more than 1,000 blog views yesterday! WOW. So...a long time ago, in a galaxy far, far away known as Houston 2016 I took a great class with Sarah Ann Smith. We started by painting with Lumiere paint. I've used Lumiere before but I forgot how much fun it could be. 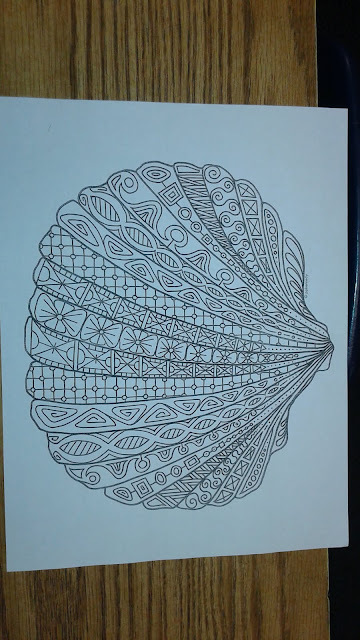 I started with an original design. I mixed the paints some so they gradated from green to light blue. It was really fun. 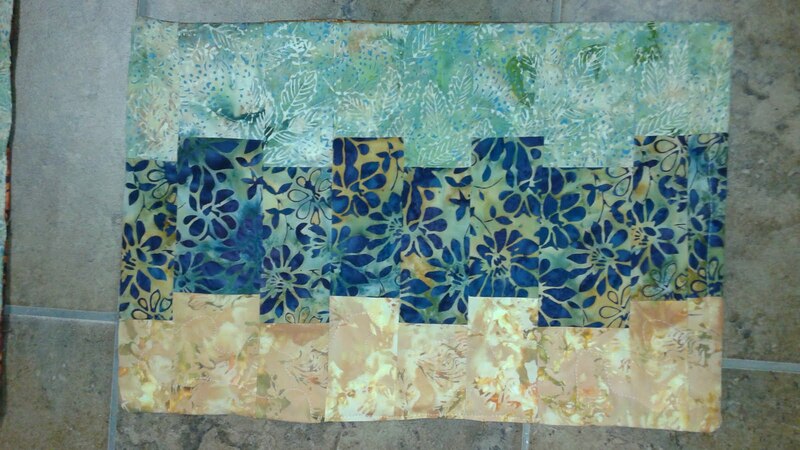 Then we let it dry and layered it for quilting. I started this part in class. I'm sorry this picture is so blurry, but I can't go back to Houston and change it (Maybe in November!). 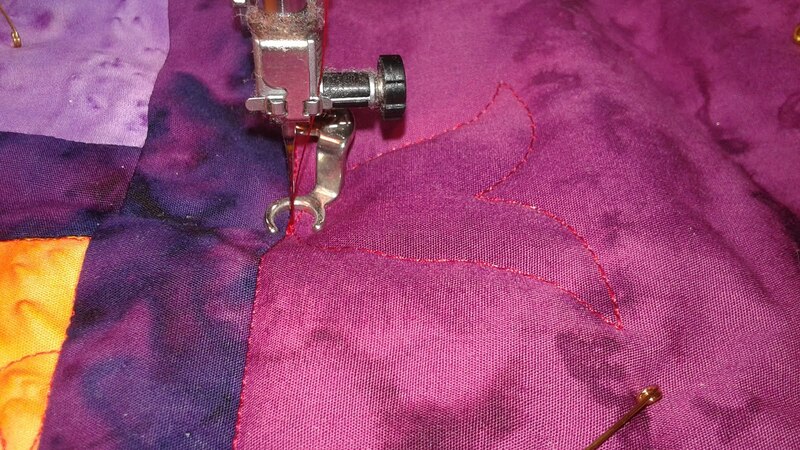 I started by stitching some in a pink thread adding quilted details coming into my leaves. 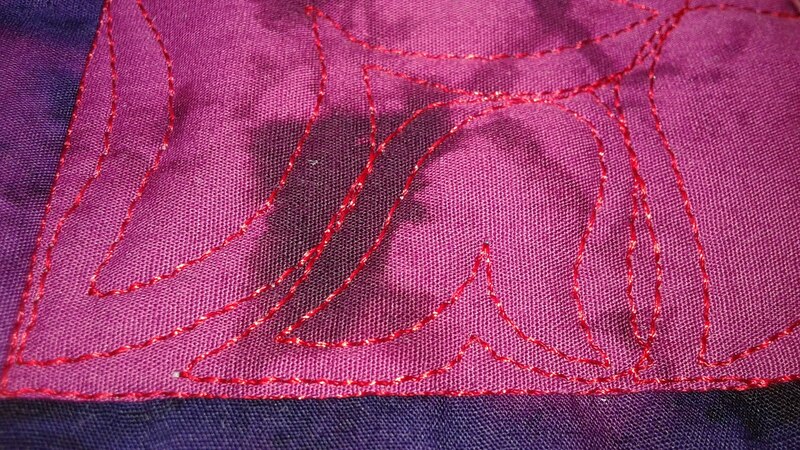 Then I stitched the other side of the leaves in a variegated thread. It was a lot of fun to add the texture. Yup. The pebbles were so worth it. But class was over, so I brought my little quilt home. And hung it on my design wall. Where it stayed for a LONG time because I was scared to screw it up! 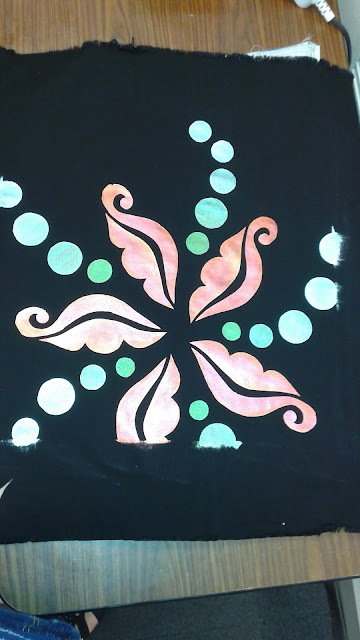 Come back Wednesday to see how I continued this fun project! 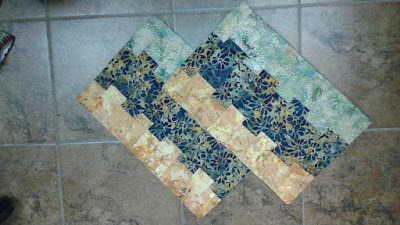 This is the LAST design in the blocks of the Brick Wall Quilt Along! WOW. 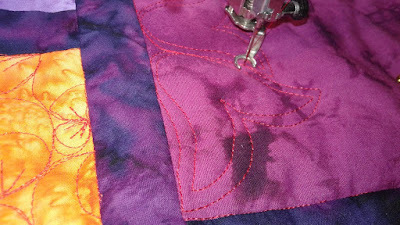 Don't worry, there will be a few border designs and then Free Motion Fridays will continue with new and exciting quilting! 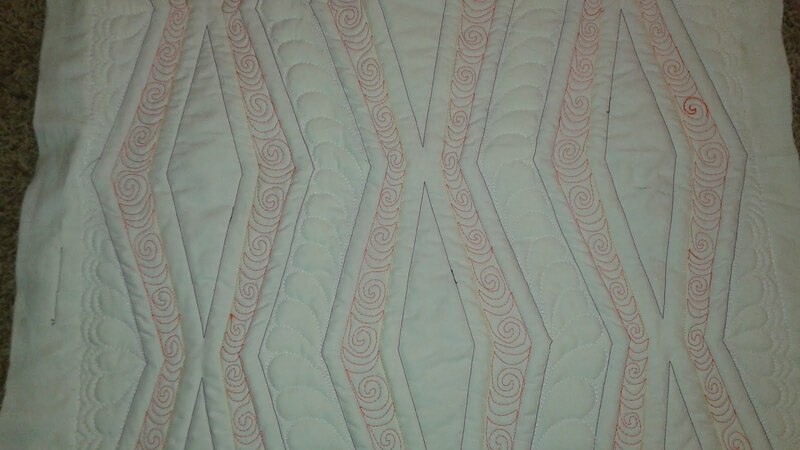 This last design is called Cupcakes because it reminds me of those Little Debbie Cupcakes with the white frosting swirls on top. You know, the ones you loved as a kid but detest as an adult? I'm trying a larger font size after reading Tammy's post from last time. It was so much easier to read on my screen. Let me know what you think in the comments please. To start making cupcakes, make a circle 1-2 inches in diameter. 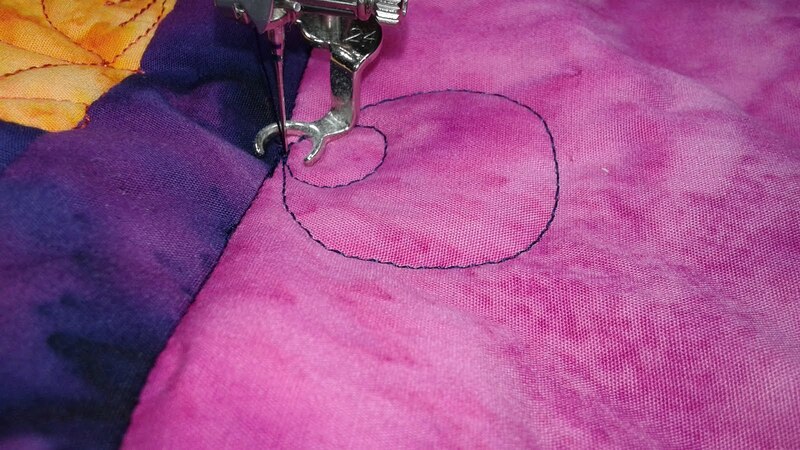 Then stitch a curly line through the middle as shown below. 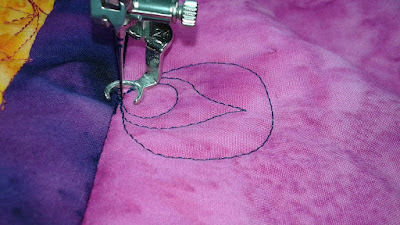 Next stitch back along the other side to outline the curls as shown below. Stitch along the outside circle until you get to where you want to start your next circle. Guest Blogger - Tammy Silvers of Tamarinis! Today I have a guest blogger! We met through Island Batiks and I'm happy to welcome Tammy Silvers! Thank you, Suzy, for not only guest posting on my blog, but also asking me to post on your blog! 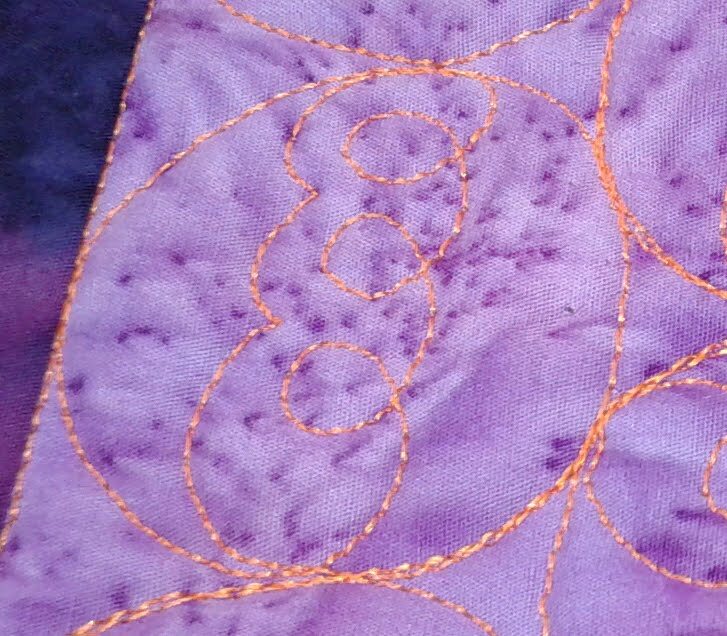 One question I am often asked is how I come up with my quilt names. 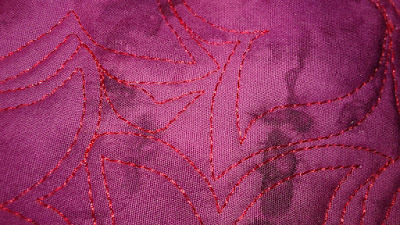 It varies - sometimes, the fabrics inspire the name. Sometimes the block or block layout inspire the name. Sometimes something I've read just sticks in my brain - like that song you hear on the radio and then can't get it out of your head for days! You know what I'm talking about, right? 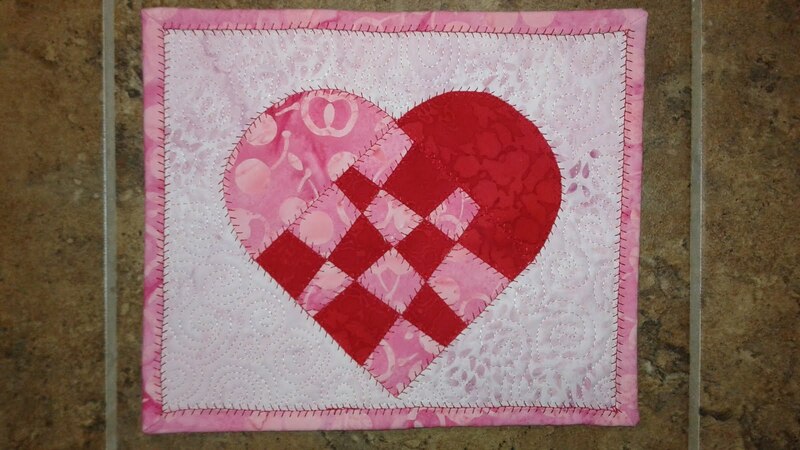 But other times, I name a quilt in honor of someone near and dear to me. That is the case with these two quilts, named for two lovely ladies I've had the pleasure of knowing for years: Ashley and Samantha . For several years, I taught high school. Yep - high school English. 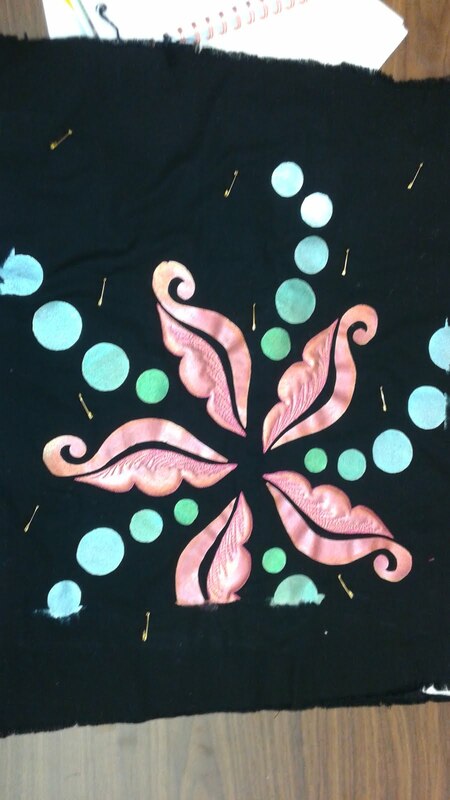 Absolutely NOTHING to do with quilting, stitching, designing, sewing, or creating. But I did have the opportunity to share my love of literature and writing with scads of teenagers, many who were probably less than impressed with the written word. And yes, you guessed it, Ashley was one of those students. She, however, did and does love the written word. When she graduated, this awesome example of the Millennial generation (and I say that sincerely, without a trace of sarcasm - promise!) lamented that she could not find what she was looking for in dorm room bedding. 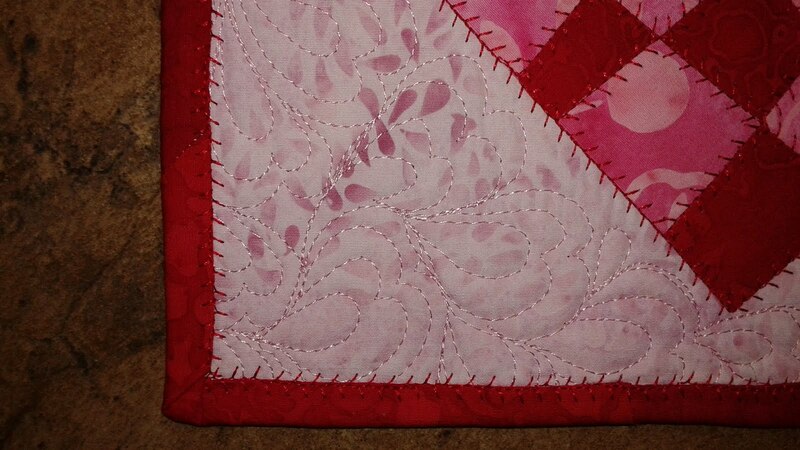 So what is any good quilter to do but stitch up a quilt as a graduation present, right? And so I did. Of course, the quilt had to be an original design, and of course it had to be in her chosen color scheme. Ahem....the one pictured above is NOT her chosen color scheme. She is the proud owner of the original (pinks, gray, black and white,thank you very much). 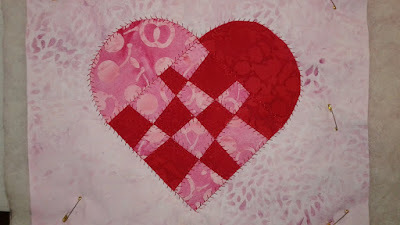 Funny story - when I stitched it up, I thought - hey, this is pretty cute, and really quick (only 6 blocks plus a border! ), and sure enough, one of my publishers picked it up. So I was able to present it to Ashley for graduation, let her take it home to show her parents, and then confiscated it immediately so it could be shipped off to be photographed and published. Six months later, it was all hers. The inspiration? Well, beyond the colors chosen specifically for her, there was the design. Ashley is very straight forward and honest. She also has multiple layers to her, with a wide variety of interests and talents that all weave together to make her the complex individual she is. Ashley Elayne reflects this multifaceted, complex personality. And then there is Samantha Paige. Samantha is my daughter, and very near and dear to my heart. She was more than a bit put out by the whole Ashley Elayne quilt. 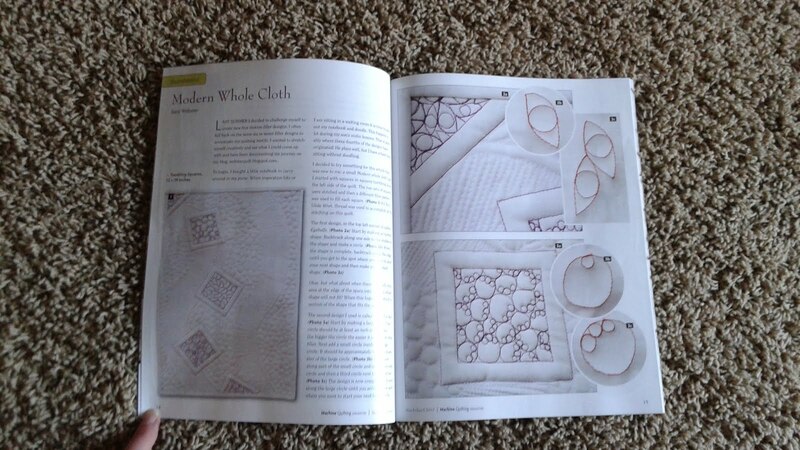 Never mind that she had the first PUBLISHED quilt (her dorm quilt was one of my magazine projects). It was the whole "naming thing" that had her put out. 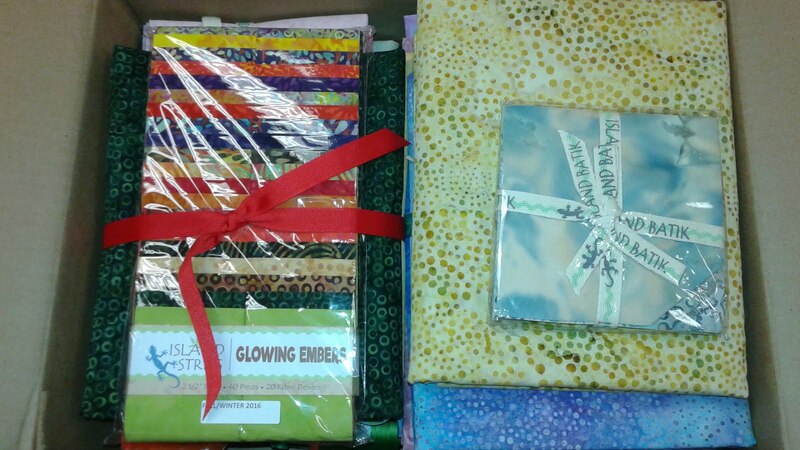 Enter my favorite fabric company, Island Batik. 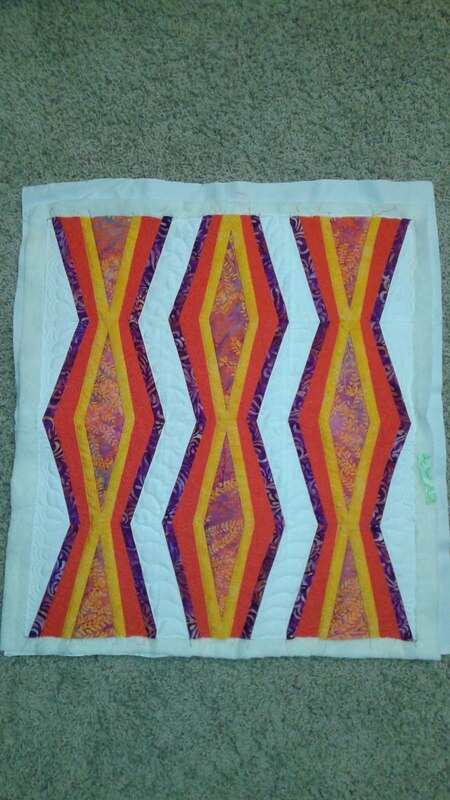 When they first asked to collaborate on fabric lines with me, and I saw the first line (Florida Oranges), I knew it was a perfect opportunity to design a quilt in tribute to my daughter. The line is bright, cheerful, sunny - all the things that Sami is. Then there was the design. As another Millennial, I wanted the design to reflect Sami's modern style, her sense of adventure, her love of outdoors (arrows and mountains echo her love of hiking and climbing) and her sunny, bright nature. 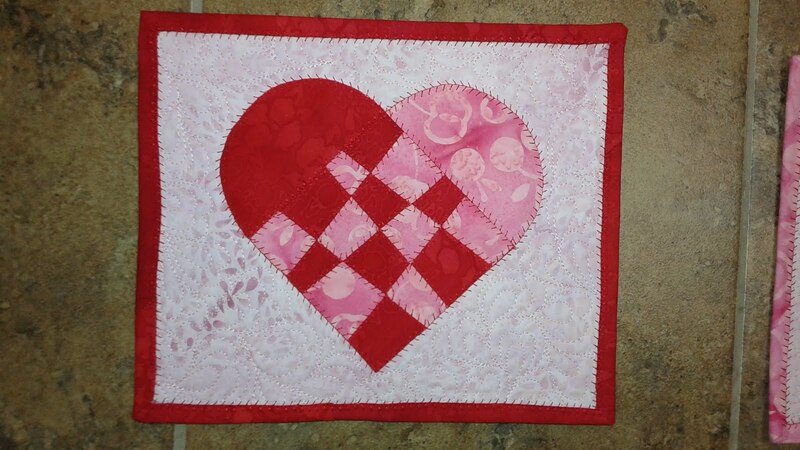 Personally, I LOVE how Samantha Paige (the quilt) turned out. Ok - I'm pretty darn happy with how Samantha Paige (the daughter) turned out too! Funny - Sami is not as thrilled with HER quilt as Ashley is, but I think it is growing on her! I'll be sharing more insight into other quilt names this year, and hope you'll get to know more Tamarinis designs with me! I would like to invite you to visit my website and sign up for my newsletter. 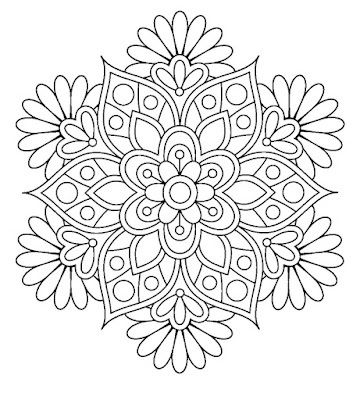 You'll receive a free downloadable pattern when you join the subscription list! Thanks again to Suzy for letting me share with you. 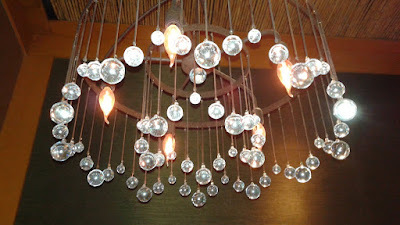 I was out to dinner with friends a few weeks ago and came upon this chandelier. Isn't it lovely? 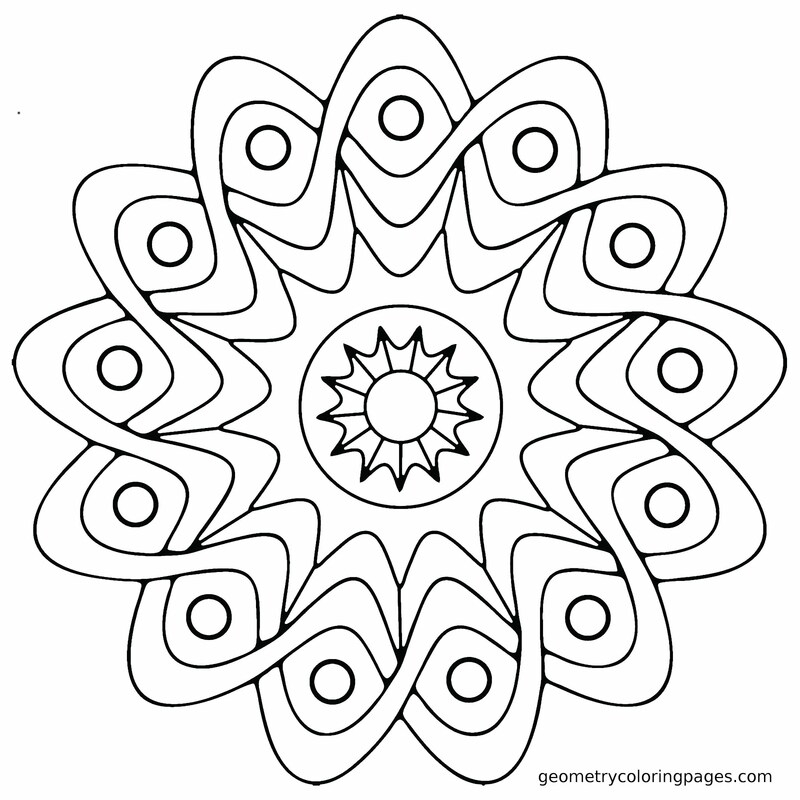 This is a coloring page one of my fellow teachers printed....it would make a great quilts and a great practice sampler! 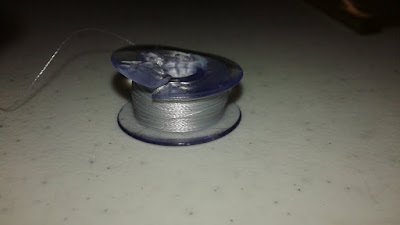 Oh, and here's the one from when I was winding 80 weight thread for paper piecing and broke a plastic bobbin. It's something I've never done before. 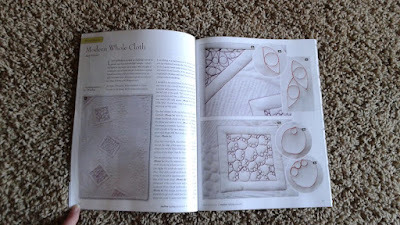 Published in Machine Quilting Unlimited! It's here! It's here! 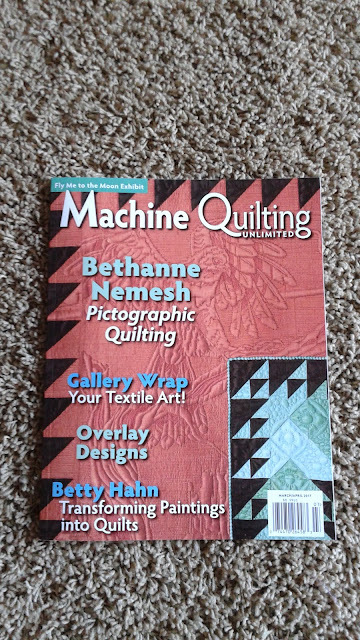 My copy of the March/April Issue of Machine Quilting Unlimited came yesterday! So...how did I end up writing an article for them? Well, I entered a quilt in their tenth anniversary contest and they asked if I'd like to write an article! I was so excited and of course said yes. Here's a peek at the cover and the start of my article! Bethanne Nemesh's article is fantastic! And here's a peek at my article on Modern Whole Cloth quilts. And here's the quilt I made for the article. It was such fun! 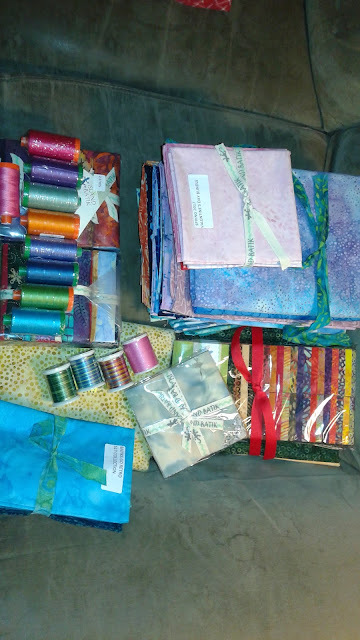 Labels: Machine Quilting Unlimited, Modern Whole Cloth, Published! Two more designs to go until we finish all the blocks and can quilt the borders! I can hardly believe it. 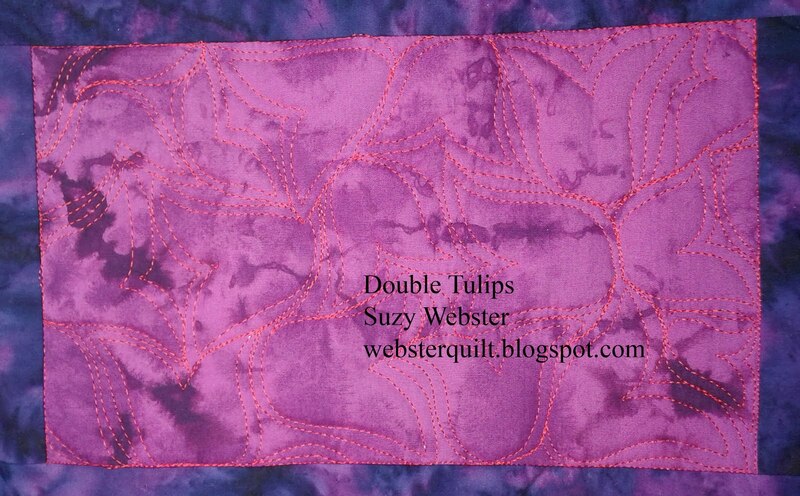 This design is called double tulips. 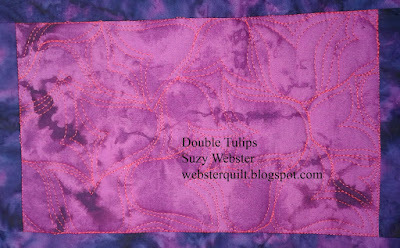 It was inspired by some gorgeous tulips my husband bought me for Valentine's Day. 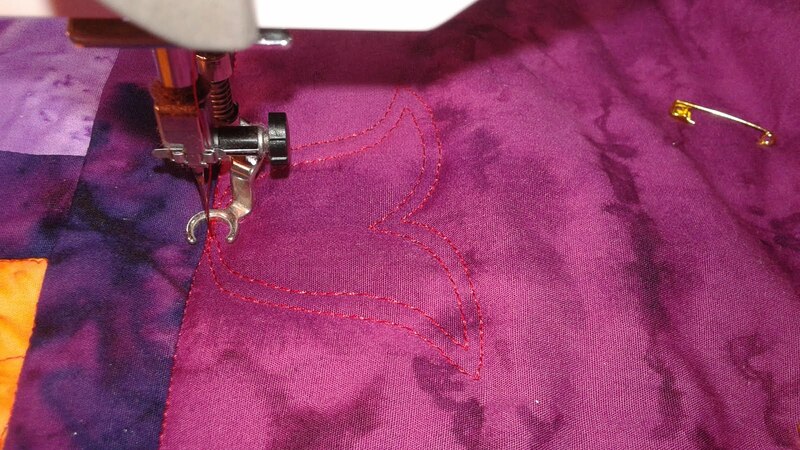 Start by making a tulip shape as shown below. This is about 1 inch tall and 1 1/2 inches wide. Next, go back and do an outline around the tulip about 1/8 inch away from the original line. Either start the next tulip where you are or backtrack to where you want to start your next tulip. Below I had to make a tiny tulip because it's all I had space for. That's okay. Look at the left center. 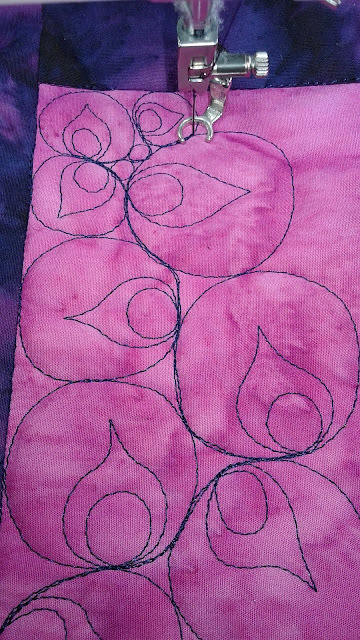 It's a tiny tulip outline and that's it. I needed to fill the space somehow and that seemed the most logical to me. It's hard to find it once it's lost amidst all the other tulips. And the final design all done. 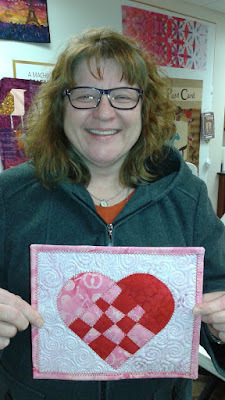 I'm super excited to announce that I will have an article in the March/April Issue of Machine Quilting Unlimited! Check out the upper right picture below. I haven't seen the magazine yet, but I can't wait! 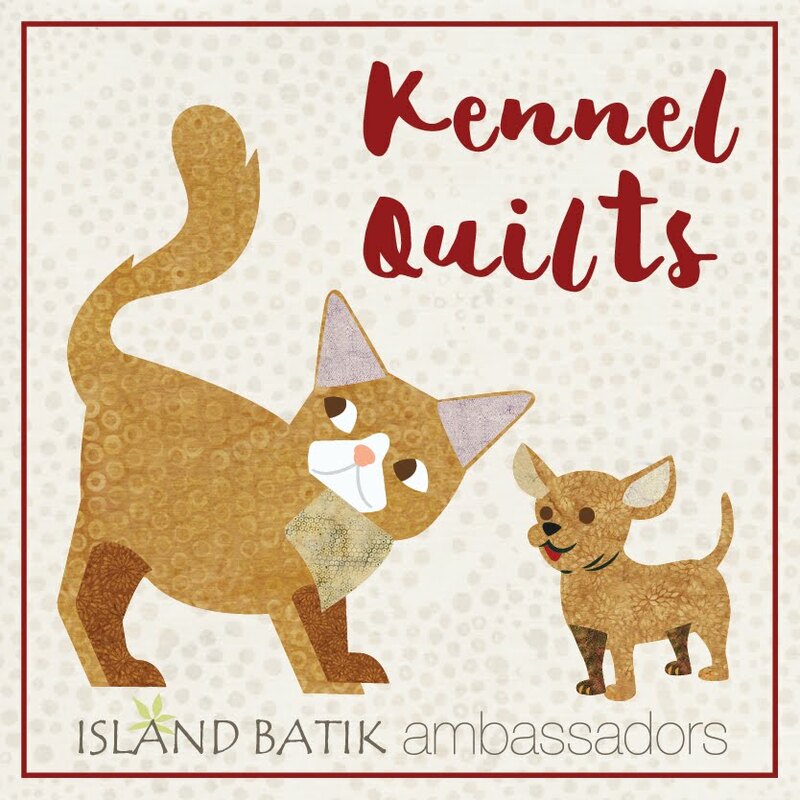 Island Batiks, along with other quilt industry partners created the Piece for Shelter Pets initiative in 2016. As part of the ambassadors program we were asked to make kennel quilts to donate to our fine furry friends. A worth goal! You can learn more about it here. 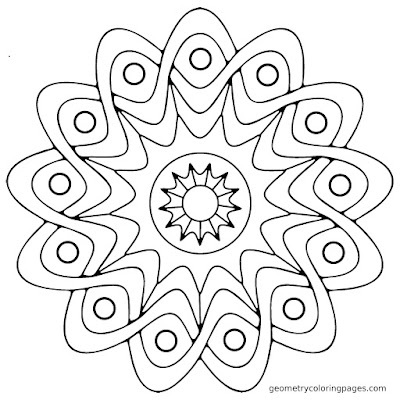 There are directions and free patterns available. I pulled out some five inch strips and got to work! 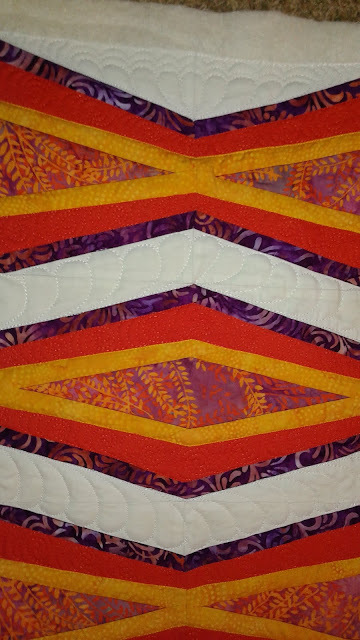 I decided to sew them together and make a modified bargello for my kennel quilts. 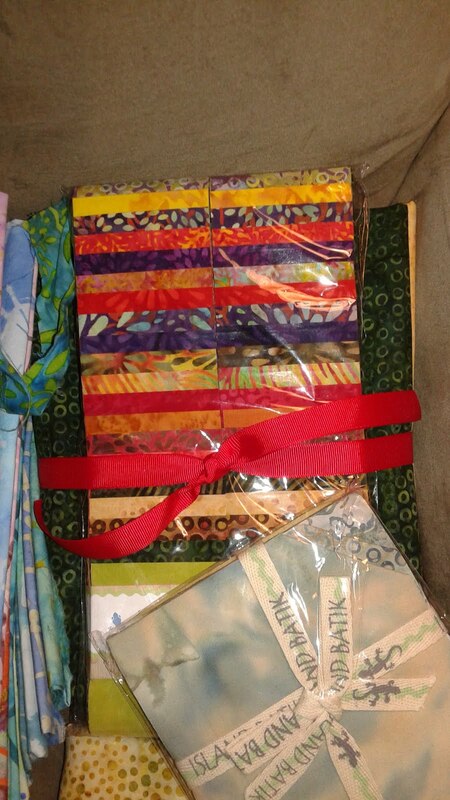 I had enough fabric to make two. They will go off to local pets in need this week! 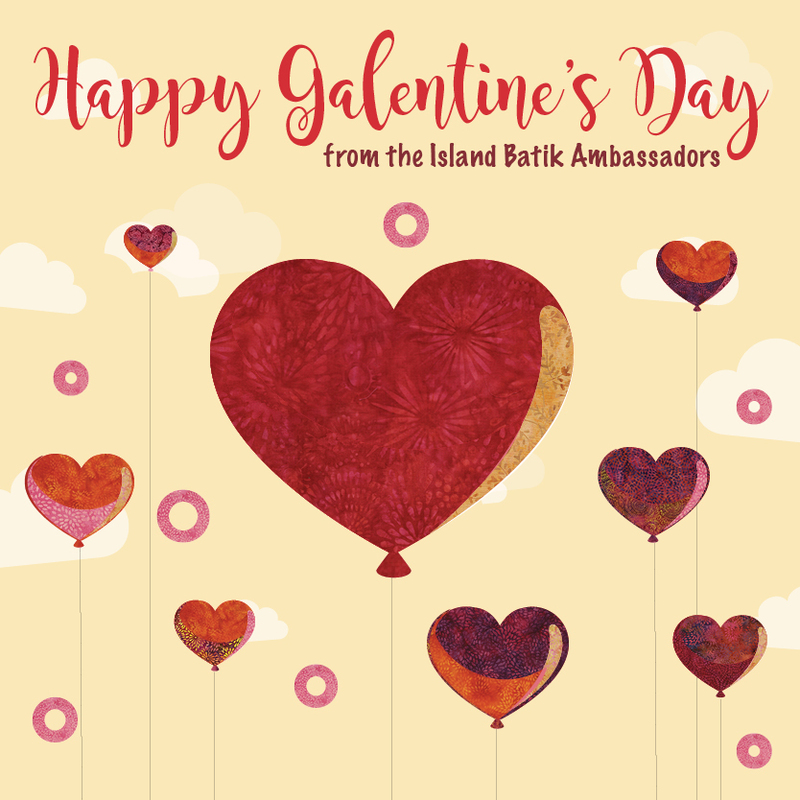 It's Galentines Day with Island Batik Ambassadors! Yes, you read that right. Today is Galentine's Day. You haven't heard of Galentine's Day? I hadn't either. It's a day to celebrate your gal pals. What a good idea! For Island Batik Ambassadors we were to make a mug rug celebrating Galentine's Day. 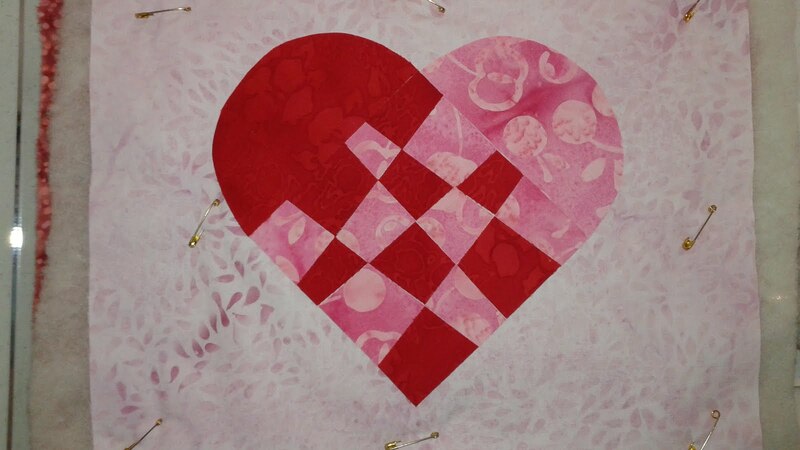 I decided to make a wonky woven heart using fusible applique. 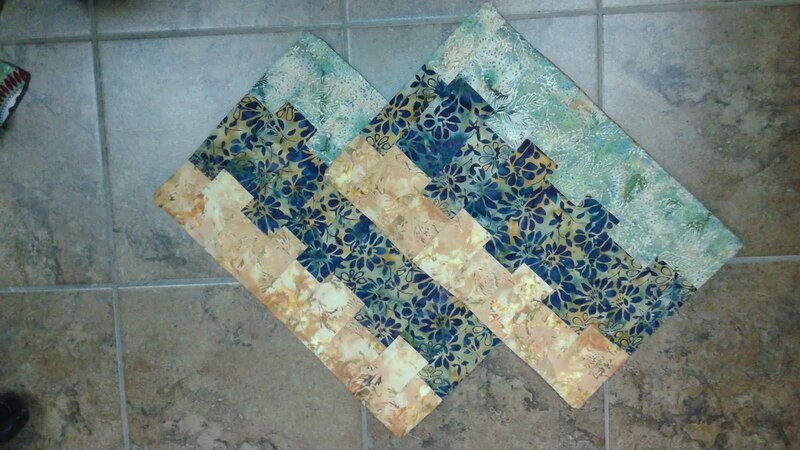 I cut four round pieces and two squares with fusible on the back. I used Steam a Seam 2 because it would stick to my fabric when I was arranging the pieces. 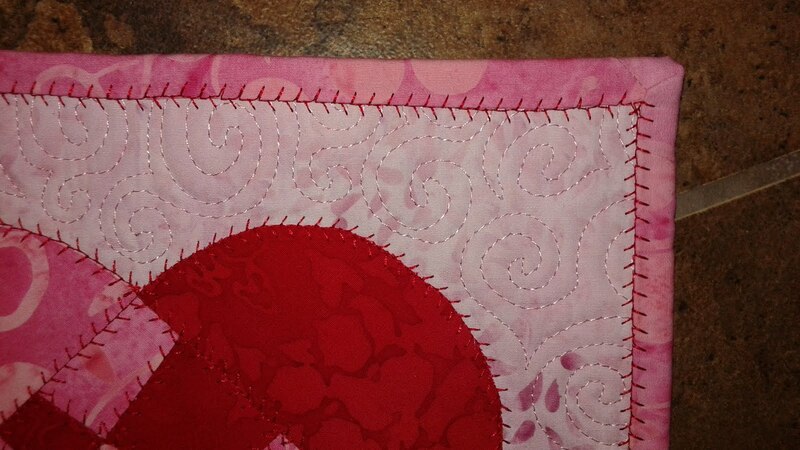 Then I had fun using a fancy stitch to do the quilting around the edge of the heart. I also decided to sew t;he binding to the back and flip it to the front so I could use the same decorative stitch around the edge of the binding. I love how it turned out! 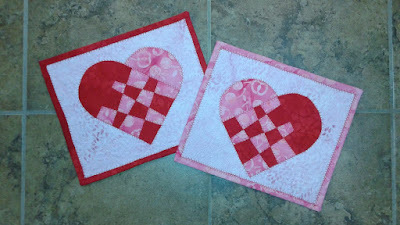 I had fun quilting hearts on this mug rug. 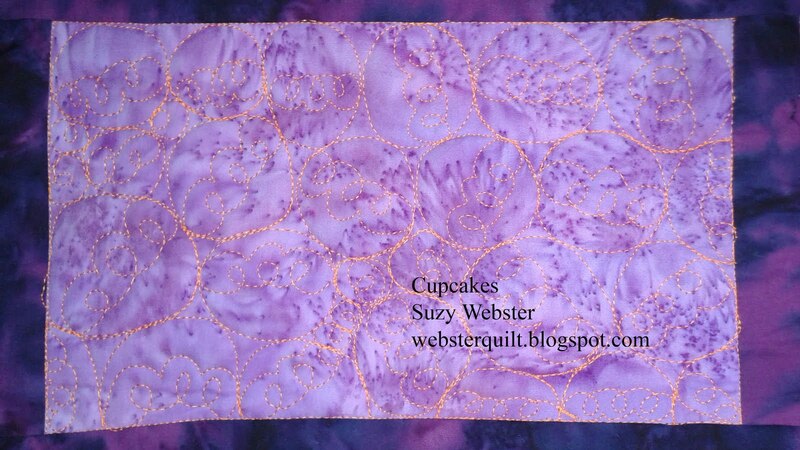 And swirls on the other. And since I was sewing with my Gal Pals at Quilter's Night Out what a better way to end the evening than giving one of my mug rugs to my friend Shawn! I had a lot of fun with this little quilt! 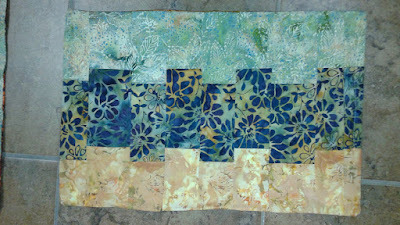 I wanted to do something paper pieced that was fairly modern. 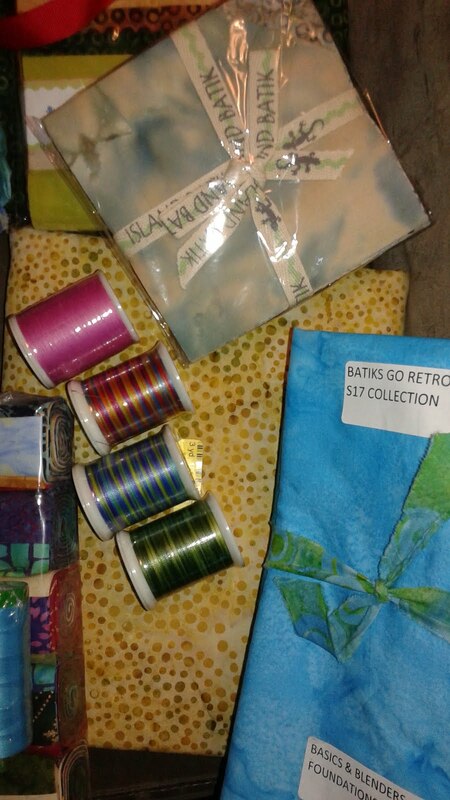 Of course I dug into my batik stash and found the perfect fabrics to create it! 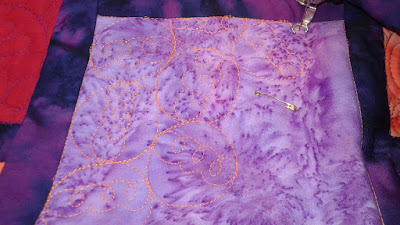 I found two orange and purple fabrics and then accented with a yellow tone-on-tone batik and an orange solid. Here's the quilting I did on the back. And on the front! 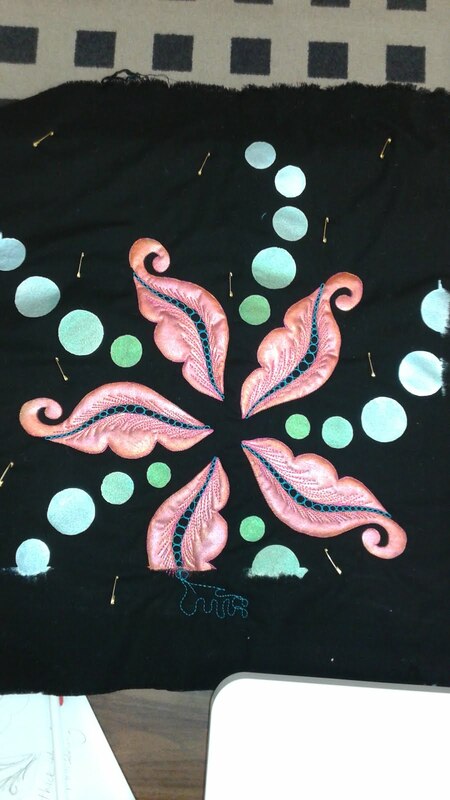 I stitched in the ditch around all the shapes. I'd forgotten what a pain that can be! I also decided to stitch the center diamonds around the edge in the dark purple thread. It adds a little extra separation between the center diamonds and the yellow. I like it, but boy did I have to be careful to stitch in exactly the right place! More next time on the challenge of choosing binding for this quilt! I hope you get to quilt today! I do....my boys are all away at scout camp for the day. It's time for mama to enjoy the quiet and quilt! It's Friday again! Yay! It's been a long week. 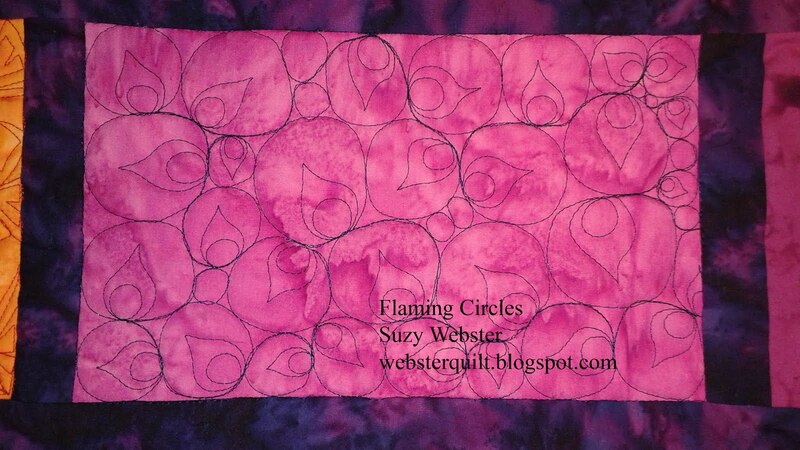 Today I'm excited to share a new design I call Flaming Circles. 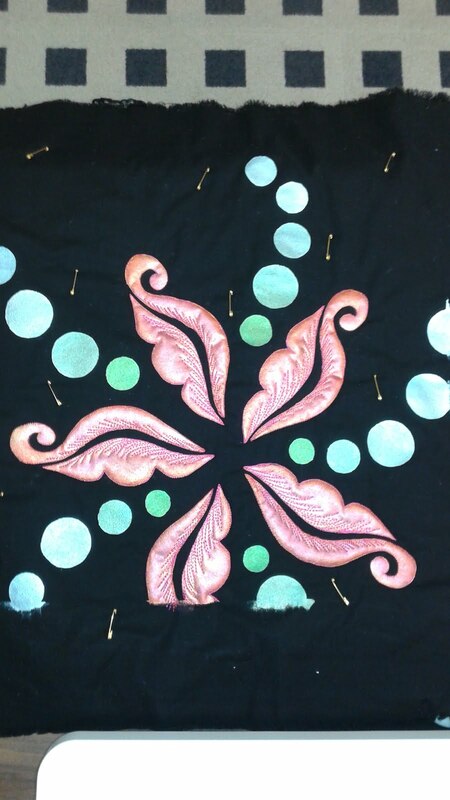 Start by making a large circle 1-2 inches in diameter. 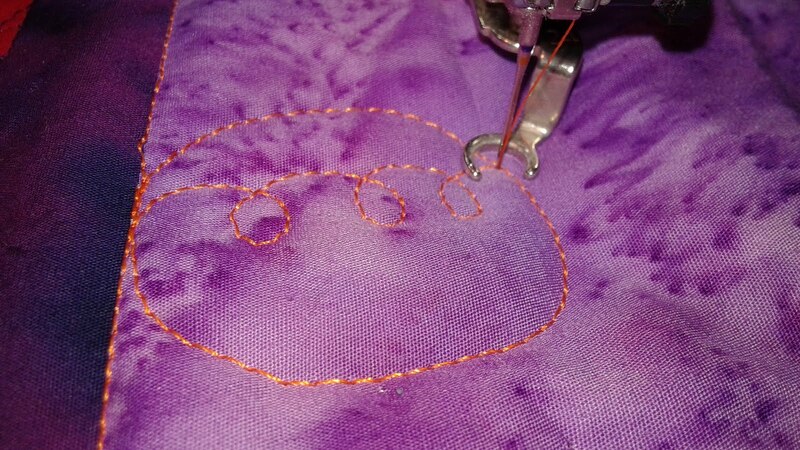 Then stitch a small circle about 1/3 the size of the original circle inside. Starting at the bottom of the little circle stitch a flame shape. Once back to where you started either start a new big circle right where you are or travel along the outside edge until you get to where you want to start your next big circle. This is the start of my design. You can see I had a little trouble when I got to the corner. There wasn't as much space, so I made some of the circles smaller and used two tiny circles to fill the extra space. I could've done partial circles that went off the edge, but I decided not to. And here's the final design. AMAZING Aurifil thread in both 50 weight and 40 weight which I haven't used before! 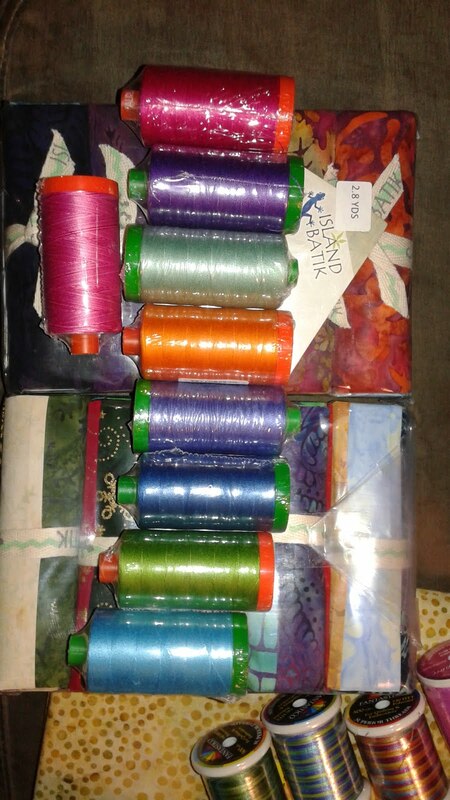 A charm pack and gorgeous superior thread! The whole box laid out! Let the fun begin!